Knee pain from running is a very common complaint among all runners, young and old and runners of all abilities. Up to 79% of runners will suffer from some form of injury throughout the year and the knee is the most common injury site accounting for around 42% of injuries. It is not surprising, when you think that your knees are supporting up to 5 and half times your body weight with each running step. And the more overweight you are, the more your knees have to support. If your knee hurts, the most important thing is to recognize if it is a symptom from another issue or if it is an actual knee injury - the most common knee injuries. Secondly you will want to know what you can do about it and can you still run. Interestingly it is not just older runners who suffer from knee injuries but they can occur in all age groups. 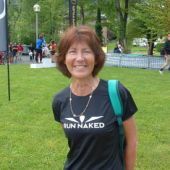 However older female runners who are new to the sport are at the greatest risk. As we get older, we often joke about our creaky or stiff knees but when we really do get knee pain, then it becomes less of a joke and something that you stress about. 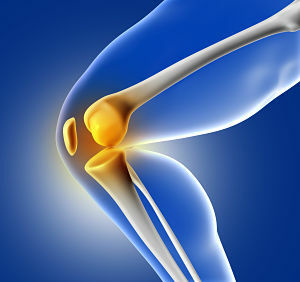 Is your knee pain caused by Bio mechanical Issues? Is your knee pain due to Training Errors? When someone talks about bio mechanical issues they are referring to how the body moves. If any part of your body is out of balance or moves in an abnormal way, it can have a knock on effect on other parts of your body. an old injury causing a slight muscle weakness or imbalance. Many people, especially new runners, don't think about the right way to train until they get an injury. Most people only react when they get an injury. Poor training techniques can lead to all sorts of problems further down the line. The good news though is that once you spot the training error, you can then do something about it. Running too much and too soon especially as a beginner runner. Guide to running for beginner runners. Thinking that the faster you train, the faster that you'll race. How training slow can make you race fast. 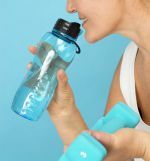 Suddenly increasing your mileage rather than doing it gradually. Not thinking of rest days as part of your training. Thinking that easy run days are not worth much in terms of training. Always running on the same type of surface and always running the same route. Changing running shoes to something that is very different to what you are used to and not allowing your body to get accustomed to them. How to choose running shoes. Not doing any other form of exercise and little or no strength training of your core muscles - especially important as we get older. If you are out running and your knee starts to hurt, reduce your speed, run easy and assess. Check your posture and make adjustments if necessary. If that doesn't help, don't run through it. Go slow and head home. When you get home, ice your knee immediately for about 10 minutes and try and rest your knee as much as possible for the rest of the day. How to ice correctly. Think about taking a day or two off from running. Think about what might have caused your knee pain. Could it be caused by training errors or bio mechanical issues and has it lead to one of these common knee injuries?. Take action now and take at least a day off running. If you feel that it is not a running injury and that you have solved the issue e.g. changing shoes, then do a short running test. Always do a 15 minute minimum warm up first before your run. This helps your body adapt gradually to the extra stress that running puts on it and allows your tendons and ligaments to be ready. Similarly do a 15 minute cool down. Hopefully you will notice a positive difference. If not, look at the common knee injuries below. If you are suffering from knee pain from running and you are not sure what it is or how to deal with it, have a look at the following which are the most common running knee injuries. Remember though that if your knee hurts, that can often be a symptom of an issue elsewhere in your body movement chain. For example, misaligned hips or tight hamstrings can cause knee pain. A searing, rubbing pain usually on the outside of the knee and sometimes in the outer thigh area as well. ITB syndrome is often linked to weak core muscles and weak hips. Find out more. You will usually have a pain in the front of the knee and under the knee cap. It is often caused by a misalignment of the knee cap when it moves. Find out more. Surrounding the knee are small fluid filled sacs, rather like cushions. These help protect the knee. However sometimes one or more of the sacs can gt inflamed leading to swelling and pain. Find out more. You might feel a pain just below the knee cap which worsens with activity or when applying pressure as in kneeling. Find out more. You may have pain at the back of you leg in the knee area and your hamstring at the back of the leg may feel tight with activity or when you bend your knee. Find out more. In case you were wondering if you are you more at risk of getting osteoarthritis from running, the answer is apparently not. Find out more here. A study published in 2008 1 and carried out by a team of researchers at Stanford University School of Medicine, followed 98 runners with an average age of 59, over a period of 18 years. They were running on average 213 minutes per week to begin with although that lessened to around half of that by the end of the study. The results showed that the runners did not have more arthritis than the non-running control subjects, and of those that did suffer with arthritis, the level of arthritis was not related to whether you were a runner or not.